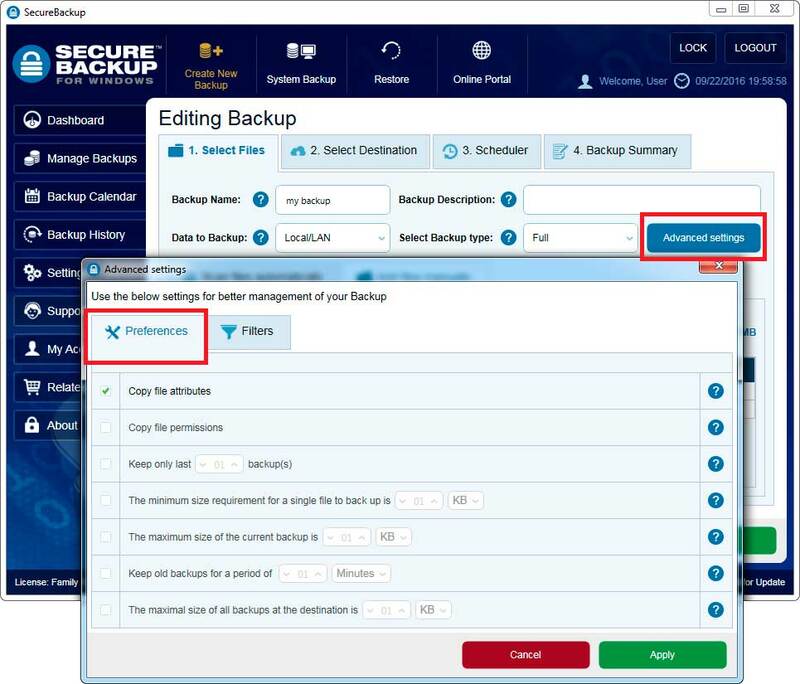 Secure Backup provides you a toolbox for effective management of the used storage on the destination. Keep only last 'x' backup: the number of copies of the backup that will be saved on the destination. The minimum size required for a single file to backup : the minimum size of the backup file. If the size will be less than configured value, then this file will not be backed up. The minimum size of the current backup: Stop this backup job, if the size of the selected data at the source location, exceeded configured value. Keep old backups for a period of: Remove backed up data that older than configured value. The maximal size of all backups at the destination: Stop this backup job, if the size of the backed up data on the destination, exceeded configured value.